I was driving the car drove fine, stopped started then drove across the parking lot went to pull out onto a main Street and the car just died. Liked I "stalled" the car but it didn't want to turn back on. I turned the key to off then went to turn it back on and it just cranks over. I then noticed the temp sensor was pinned out on HOT. Looked at the hoses and coolant reservoir still had pressure and no coolant on the floor. Tried starting the car again nothing, no visual signs on the engine that something was broken. Called a tow truck waited about 45 minutes temp still read HOT maxed out (it's 40° outside and windy so chill factor is up). I am going to look over the car soon (newborn at home now) don't have all day to tear the engine apart so any recommendations will be greatly appreciated. Last edited by NaturalFlavored; 02-22-2019 at 01:31 AM. Both times my car died and just "stalled" was because the timing belt broke. Once was when I was leaving a stoplight to turn into a gas station, it just stalled (low speed, low throttle). no noises or anything, just stalled. The second time I was cruising around 50mph to go pick up my son from school. That time, with a load on the engine there was a big POP from the motor, I was sure there was going to be a window into the block. But a new timing belt later, still running like new. But I never had the coolant gauge read hot. I don't know about these in particular, but some cars will go into a safe or limp mode (or not start at all) if the coolant temp is too high. 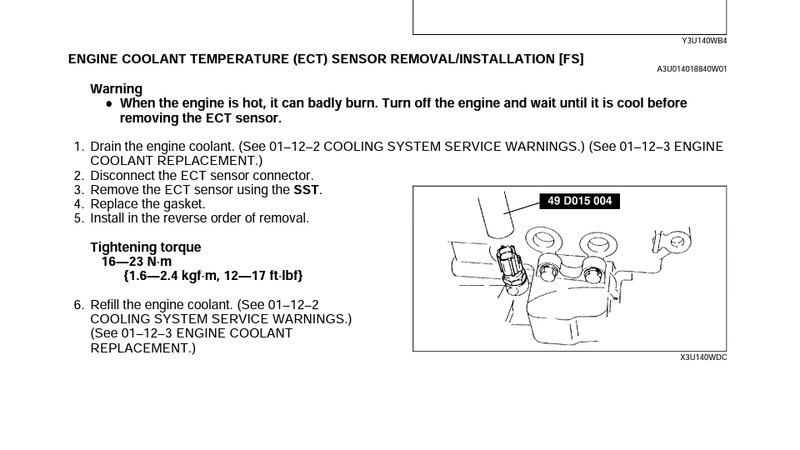 There's a chance it blow a head gasket or something, but I suspect there is also a good possibility that the coolant temp sensor is just bad or wrong. Sitting for 45 minutes in 40F temps, there's no reason why it would still be pegged on hot. They do have a tendency to stay much hotter if there's an air pocket right where the sensor is, but at those temps it still should have come down in 45 minutes quite a bit. Check the radiator cap. The center of the inside of the cap is a "plunger" that's loaded on a spring. That spring tends to deteriorate and disappear, and then it will blow the coolant into the reservoir, and the reservoir will overflow and you'll generally never even notice until enough coolant disappears that it starts to run hot on you. I'd start with the basics, see what you've got. Make sure it's got coolant, make sure the camshafts turn when you crank the engine over (look through the oil cap), etc. Maybe worth doing a compression test, if it really did run that hot there's a good chance the headgasket is blown out, or the head may be warped. Chances are it's either something dumb and simple, or something much deeper and more involved. Don't think there's much middle ground here, so we'll hope for simple! I know there's one under the hood that if blown, the Temp gauge is pinned to hot. That fuse may keep the engine from running too. Well it was worth a shot but no, I took out the fuse that said inj or fip according to the fuse diagram and it tested fine swapped it with other 30 fuses and still get the temp to go to Max. Also is there a way to check the timing belt without taking off the valve cover? Yes I check my coolant and it's still like 97% full missing very little coolant and the reservoir did not over flow and still has coolant in it. Remove the oil fill cap and look inside while cranking your engine over. You should see the cam spinning. Ok I'll see if I can get an extra set of hands to test it. I don't see anything else out of the ordinary. Any sensors might have gone bad that could cause this? ... and still get the temp to go to Max. 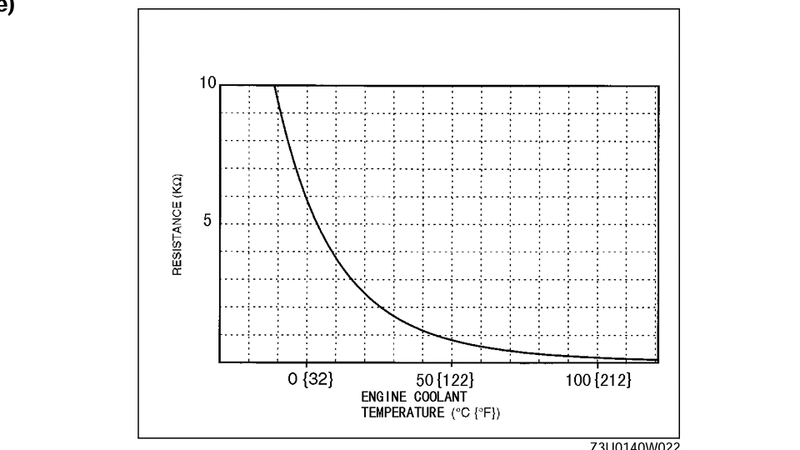 Your engine is obviously cooled off by now. Check all your fuses including the ones under the dash.... specifically the engine fuse and room fuse. 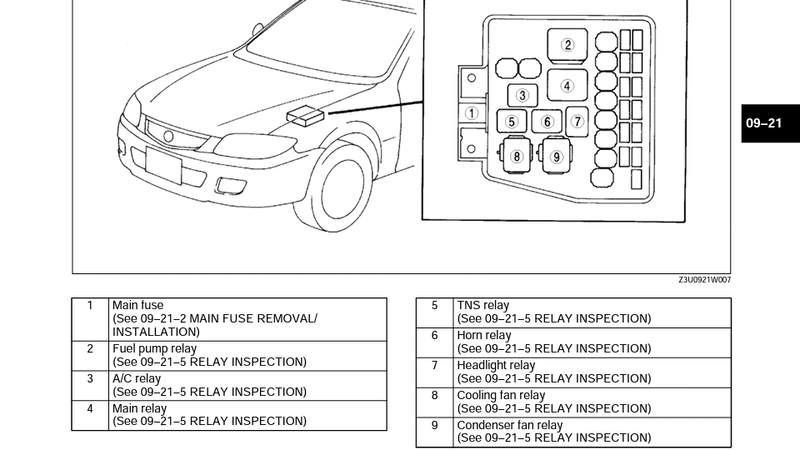 Put your finger on the main relay and the fuel pump relay and see if they "click" when the ignition is turned on. Thanks I replaced both room and engine fuses and now the temp gauge went back to normal and it started right up. Thanks PCB, and the belt is fine I looked while I had someone turn the key. 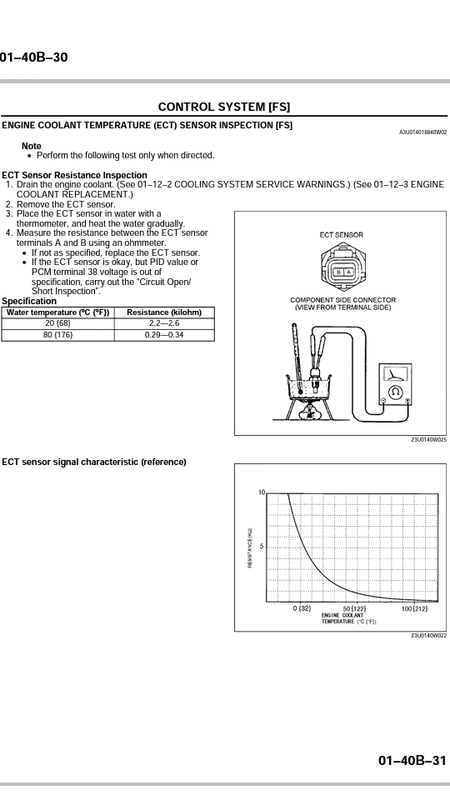 Thinking about it some more, your ECT (engine coolant temperature sensor) may have completely crapped out. There is a test for it. You could test it right on your car and see what kind of resistance it is showing. You could test the wires in the connector too to see if they are grounded/shorted out. Last edited by pcb; 02-22-2019 at 06:01 PM. I might just replace the ECT anyways buy one off of Amazon for a few bucks but it was the engine fuse inside the car that blew and after replacing that one and the room everything went back to normal. 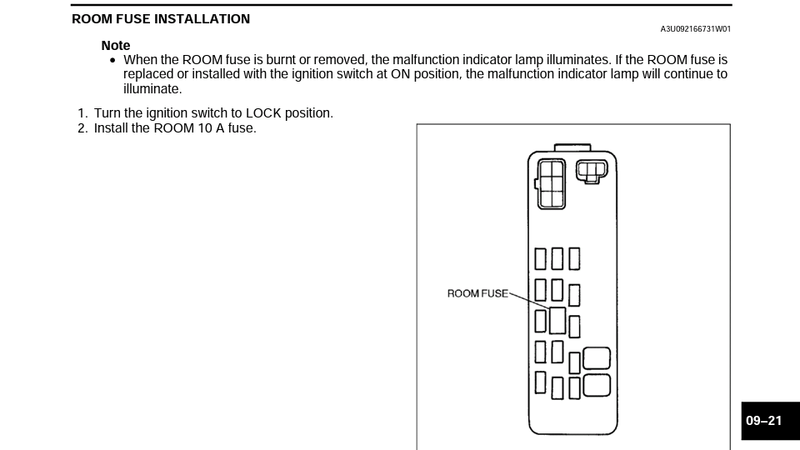 The room fuse was ok but I have a bunch of fuses so I replaced it anyways. The only problem is why the fuse blew in the first place. It could be a sign of something wrong and blowing the fuse. It could have just been a bad connection on the fuse or an 18 year old fuse that finally popped. Keep a few fuses handy in case it happens again. Blown Turbo? Blown seals? Sad owner. 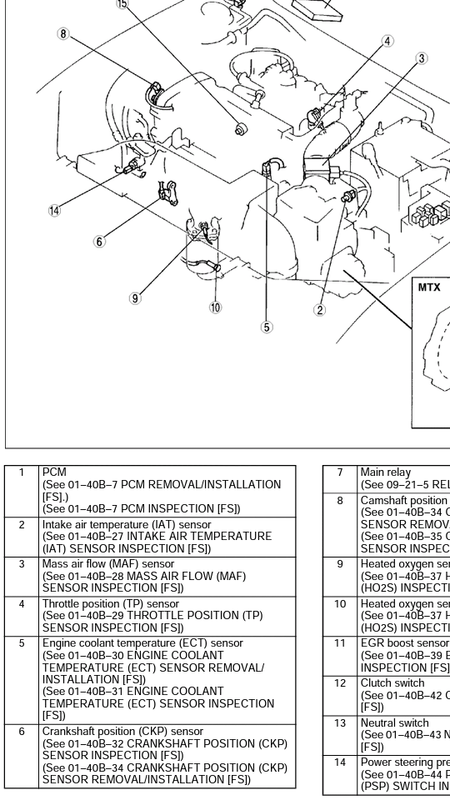 blown mazda 6, 2.3 motor, can I use any mazda 2.3 motor to replace the blown one?